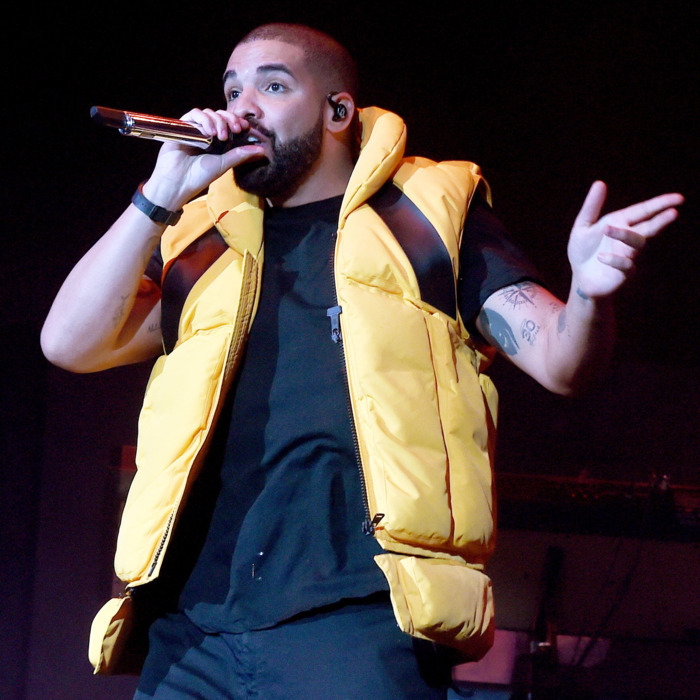 The checkered history of Drake and the Migos began in 2013, when Drake hopped on the remix of “Versace” and transformed the Atlanta trio’s first true hit into an advertisement for himself. Drake wasn’t the only artist to copy the Migos’s triplet flow, which by now has pretty much become standard house style in hip-hop, but he was definitely the first to pass himself off as an innovator by mimicking it. As with many artists before and after them, the Migos found their stature more diminished than enhanced by collaborating with Drake: The “Versace” remix, where Drake got the lead-off verse and filled it in with twice as many bars as Quavo, Offset, and Takeoff, comes off as a Drake song featuring the Migos in supporting roles rather than a Migos song featuring Drake. (Drake would even go on to perform the song without the Migos at an awards show.) Perhaps out of a sense of feeling cheated, the Migos would never collaborate with Drake again — that is, until today. More than anything else (it’s not a great song), the sixth track on the trio’s new album Culture II, “Walk It Talk It” offers a chance to review how much their relationship has changed over the intervening years. To be sure, Drake can still command his audience. As the performance of his “God’s Plan” and “Diplomatic Immunity” tracks released last week (the former broke streaming records) show, even mediocre productions from the Toronto artist are in demand, at least for a short period. (Look for “God’s Plan” to follow the same trajectory as Taylor Swift’s “Look What You Made Me Do,” another single coming after a long hiatus that made a big splash before sinking like a stone.) It seems likely that “Walk It Talk It” will perform well on the charts for a few weeks and contribute to Culture II’s push for No. 1 album of the week and eventual platinum status. But it’s minor business, especially compared to the “Versace” controversy. We’ve come a long way from the days when Drake could claim the Migos’s energy for himself without really asking or paying. Quavo, Offset, and Takeoff are major artists in their own right now, and regardless of whether their status rises or sags due to Culture II, Drake’s role is peripheral at best. Drake has been relegated to the second verse out of four. Though his lines, which paper over the “Versace” beef, are serviceable, he’s clearly riding shotgun instead of driving. Not that there’s much to drive. As with “Versace,” Quavo’s hook is incredibly repetitious; unlike with “Versace” the hook is dry and dull. Drake’s verse is only marginally better than the others despite the other performers turning in markedly uninspired lines. Five years later, the Migos need Drake far less than Drake needs them: Instead of Drake demanding, or being given, prime position on a choice beat, he’s tucked away in obscurity on a boring song that’s a B-side in all but name. It may or may not be karma, but times have definitely changed.